Oxidized gel-coats require wool pads, rotary buffers and aggressive compounds to remove the oxidation in a time-efficient manner due to the size of marine craft and the difficulty in doing this type of work. 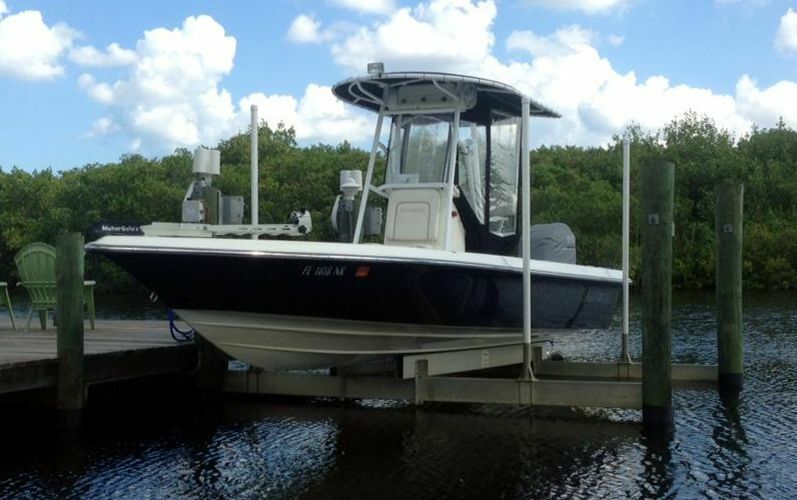 The owner sent me this picture and in the picture with the boat on the lift the condition of the boat doesn't look too bad, that is to say, the boat looks pretty good. Here's a shot showing three lights, the first light is the flash from my camera, the second two lights are flood lights. In the below shot I have my camera flash turned off but you can still easily see the holograms in the black gel-coat finish. 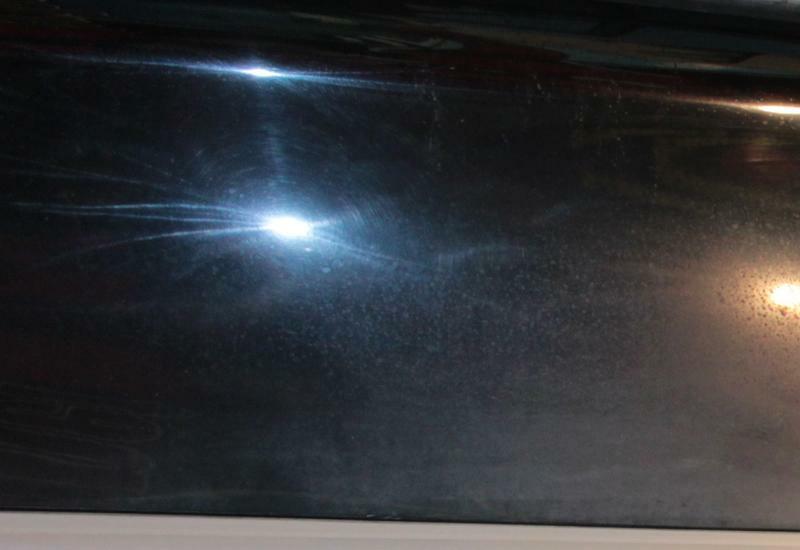 The issue or big picture with the holograms in the boat world and boat detailing industry is that so many boats are large, at least larger than your car and when they become oxidized the fastest way to remove the oxidation is with a rotary buffer, wool pad and an aggressive compound. The results from this combo is you can restore a shiny, clear gel-coat but leave behind holograms. Removing the holograms requires at least one to two more steps. If you're the boat owner buffing out your own boat then your time is your money and you can choose to remove the holograms or live with them. If you're paying someone to detail your boat, you can choose to pay them for the extra steps required or live with the holograms. 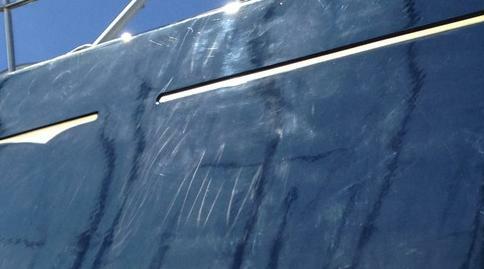 Pad wear - Pads wear out and a savvy boat detailer will build this into his cost. Product use - Doing more steps, besides taking more time also requires more products and if the goal is a swirl-free finish then better products and better products that don't leave swirls costs more money. The big picture and solution all comes down to education. Educating both the boat owner and boat detailers. My guess is the majority of the market will always be willing to live with the holograms because most boats are white so they don't really show up and because historically, most boat owners won't pay for quality work due to the time and thus cost involved. 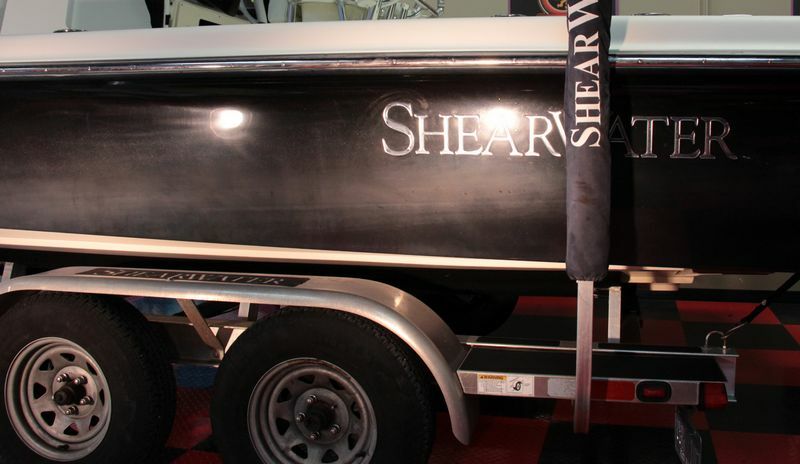 But for all you boat owners that own boats with medium to dark colored gel-coat finishes, or if you own a boat with a painted finish, including some boats with custom finishes using the same types of basecoat/clearcoat paint technology used for automotive application, if you want a hologram free finish you're going to have to step up to the table and either educate yourself on how to do the job the right way or hire boat detailers that have the right education to do the job correctly. I sent you the link to this article. 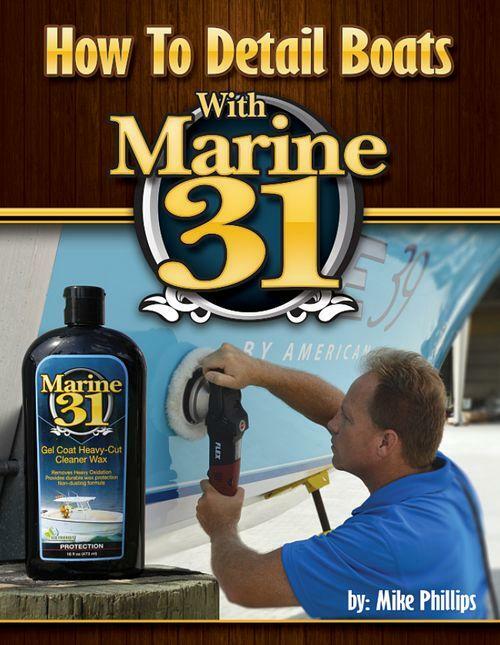 After reading it if you have any questions about how to proceed with buffing out your boat feel free to give me a call or shoot me an e-mail. Contact me via e-mail or call. Over 22,000 views and counting... reads to me like I've hit a nerve in the boat world. I'll post some really sad pictures today showing more of this problem. It's hard to change the industry, both the owner side and the detailing side but one thing for sure... it all starts with education. I have several customers that are more than willing to pay the extra money for me to make a 2nd or even 3rd pass on there boat to help reduce swirl marks. 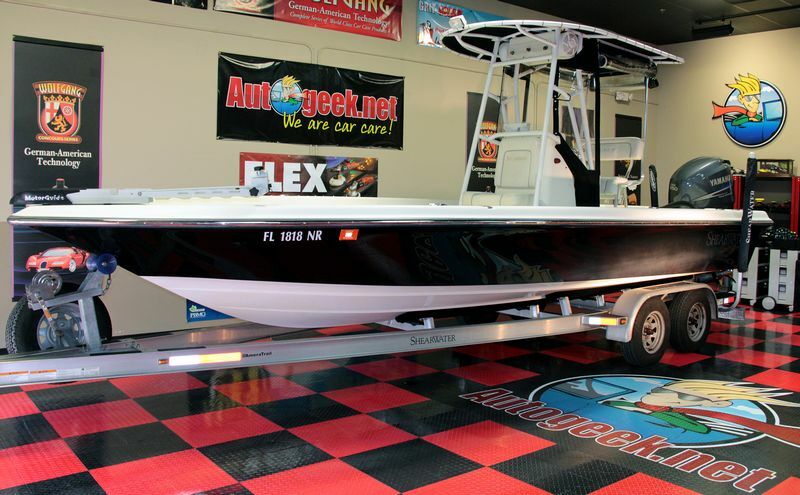 There are a lot of people especially with the bigger boats that maintain them with a open checkbook, plus if you have a 100k+ boat spending $600-800 to have it looking really good isn't that big of a deal. But I also have some customers that don't want to spend any more than they have to, like you said on white boats it's hard to see the swirl marks anyways. To a majority of people and there friends that they are showing the boat off to they just look at it and see that's it's really shiny compared to being dull and oxidized before the detail. And these are your best customers not just as customers but because they will recommend you to their circle of friends. There's a market for everyone, that's for sure. As I type this this thread now has over 23,000 views so I know I have someone's attention. 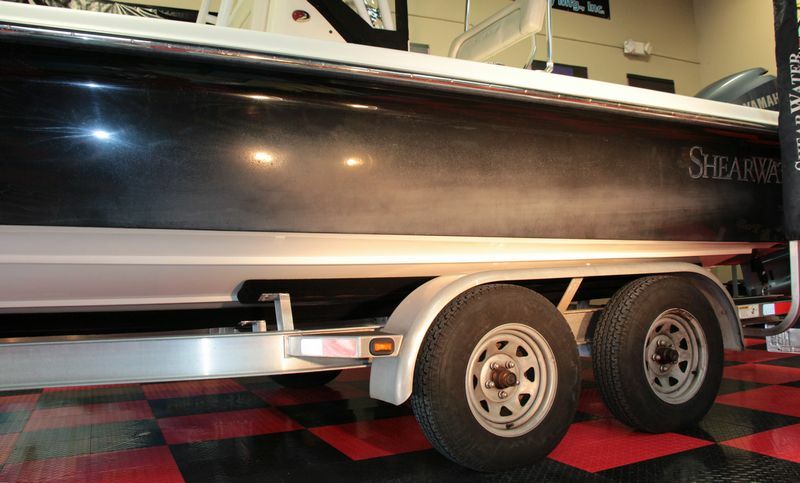 Whether you're a do-it-yourselfer just taking care of you own boats or you detail boats for money. 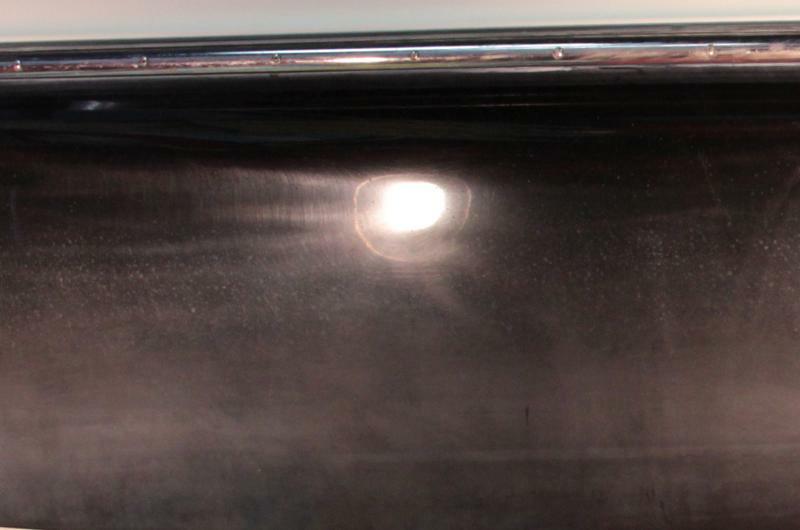 This article points out the topic of holograms scratches in a gel-coat finish and the problems they cause. A: Avoid them in the first place. B: How to remove them if your boat already has them.